Instagram has become a global force in the world of social media and attracted early interest from a Facebook who bought instagram for US$1billion in cash and stock in 2012. Each day an average of 95 million posts are uploaded to instagram each day - architects, designers and photographers included. 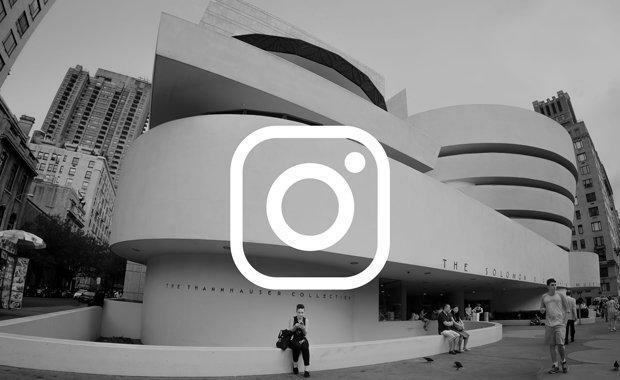 So if you are interested in aesthetic design or want creative inspiration here are 10 architecture instagrams you should follow. Architecture instagram founded and moderated by Ingeborg Nijzink in4architecture and simo.bcn they present the 'best of funky suburban residential architecture from the fifties till now'. frederikliisberg Denmark. Frederik Liisberg provides an architecture Instagram with an assortment of interesting architectural shots from his hometown Copenhagen and abroad. cm.images An architecture instagram feed from photographer Christina -- this one is a must follow. Cieran Murphy who runs the architecture instagram cieranmurphy Australia is a freelance photographer living in Brisbane with interests in architecture, adventure and minimalism. institute_architects_aus Australia. Informative and with access to terrific imagery from their membership there's no excuses for not following the peak body for architects in Australia. arch_vortex Romania. An architecture instagram account devoted to architecture and interior design and moderated by architecture student Miruna Grec. archifound is devoted to showing the best architecture and interior design from around the world. herzogdemeuron Switzerland is an architecture instagram feed of updated news and appreciation for the work from Herzog & de Meuron, an architectural practice based in Basel, Switzerland, working on projects across Europe, the Americas and Asia. 10. Le_blanc A photo posted by Herzog & de Meuron (@herzogdemeuron) on le_blanc Germany. A compelling Instagram account from Sebastian Weiss who is passionate about concrete aesthetics and the beauty seen in city shapes. He is a photographer and photo columnist at Architectural Digest Germany.